Meet The Owner Of The Best Carpet Cleaning Colorado Springs CO Business Around! Hi, I’m Robert Yockel, (Owner/Manager) of High Performance Carpet Cleaning, LLC in Colorado Springs. High performance carpet cleaning, LLC has developed a team of elite IICRC certified cleaning professionals to better serve our clients. We don’t hire sub-contractors. Our business foundation is built on old-fashioned core values like integrity, honesty and respect. 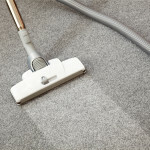 You can be sure you are dealing with professionals when looking for carpet cleaning Colorado Springs CO residents trust. We provide specialized carpet cleaning Colorado Springs CO residents can benefit from. As well as residents in the surrounding areas. Our services include carpet and upholstery cleaning, tile and grout cleaning, air duct and dryer vent cleaning, specialty area rug cleaning, emergency water damage response and structural drying. We’re happy to service both commercial and residential customers. 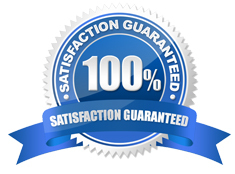 We’ve built a reputable business based on quality service and customer satisfaction. Our trained professionals look forward to serving you. As a responsible company, we always maintain the required business and tax licenses applicable for our service and carry excellent insurance to meet the needs of our clients.